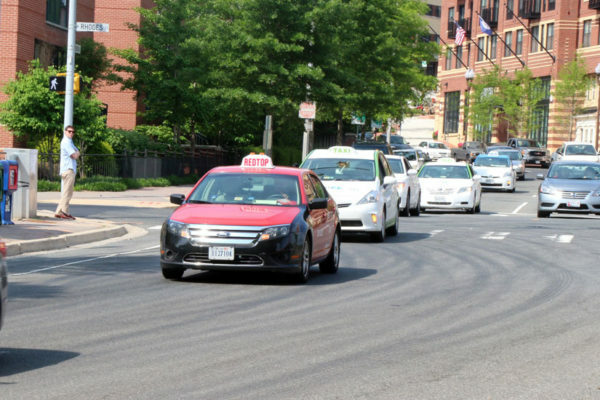 Schwartz says there’s currently no way to measure Uber and Lyft activity in Arlington, but concluded that the two companies are not only taking passenger business away but are also making it harder to recruit drivers and collect “stand dues.” Uber and Lyft have operated legally in Virginia since 2014.
on demand through a mobile application to individuals. 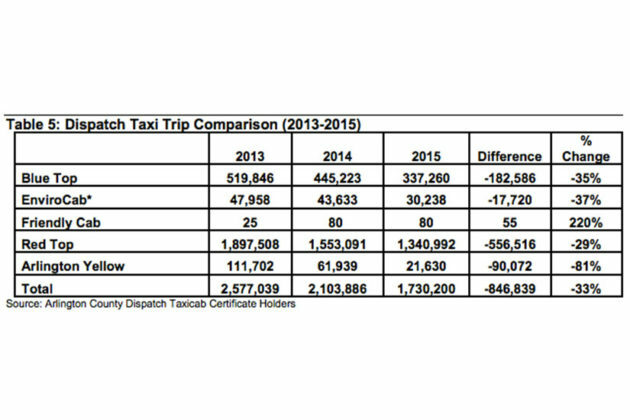 TNCs are creating a change in market conditions and impacts on the taxicab industry. There is no data available to quantify the number of providers although it is believe[d] to be significant. One thing the industry has brought up numerous times is the shortage of available drivers. This is impacting the industry which has dropped significantly the stand dues in order to attract drivers from other companies. The recent 60 wheelchair certificates that were awarded to Blue Top and All Access in 2014, most of these have not been filled with drivers. Other companies are reporting additional vacancies at the moment. The Arlington County Code provide steps in order to address this issue that will take into consideration during the Allocation Certificate Report due this fall. 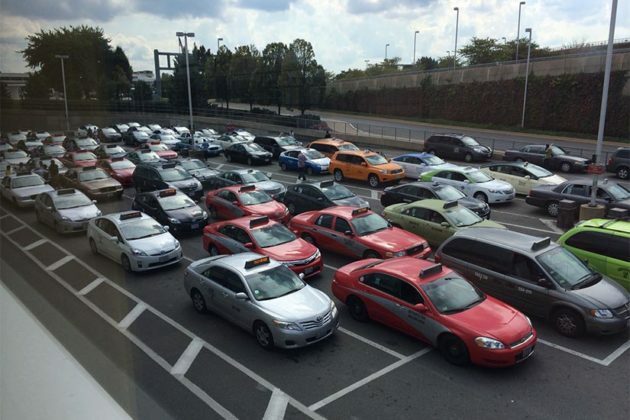 As the Washington Post reported today, the last company to receive a large allocation of taxi licenses — All Access Taxi — has only one of its promised fleet of 50 wheelchair-accessible cabs in operation. The company blames problems with driver recruitment. Pelot said that Red Top offers “regulated, predictable and affordable pricing along with a discount program for seniors and persons with disabilities” whereas “Uber offers surge pricing.” He added that Red Top drivers regularly go through fingerprint-driven police background checks and receive special screening and training, a more rigorous process than that offered by Uber. Taxis, meanwhile, aren’t the only transportation option that have suffered drops in ridership in Arlington over the past couple of years. 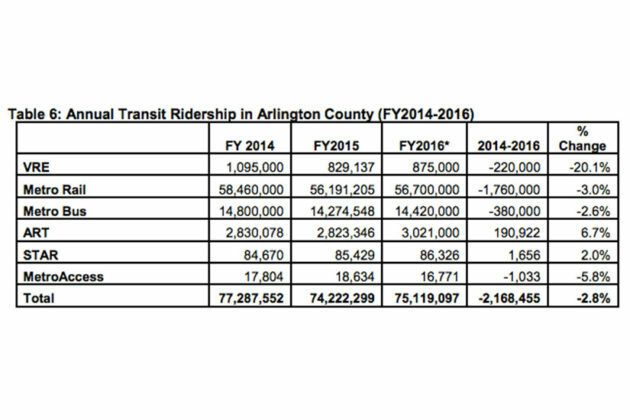 The memo reveals that annual ridership of both Metrorail and Metrobus in Arlington is down nearly 3 percent from Fiscal Year 2014 to FY 2016. MetroAccess ridership is down 6 percent. 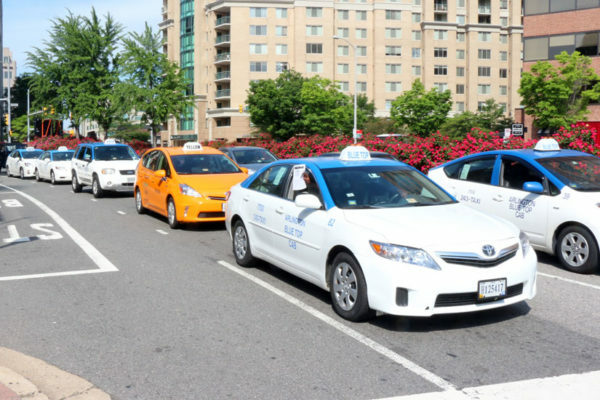 Arlington County has 847 taxi certificates currently approved — almost 4 for every 1,000 residents. The memo concludes with Schwartz’s recommendation that no additional certificates be approved this year. 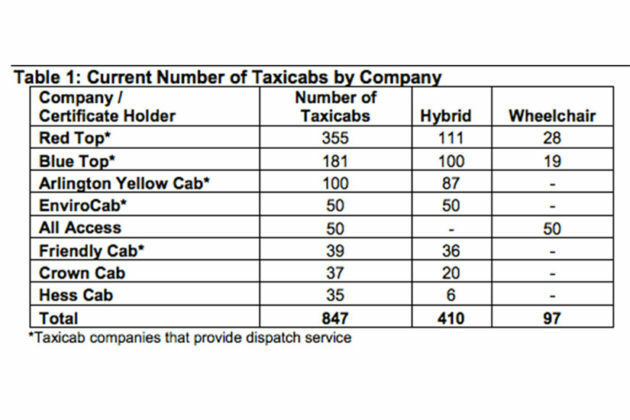 Based on all the information presented in this report, I recommend that there be no increase in the current number of taxicabs authorized by certificates. If an applicant applies for a certificate, the issuance of which would authorize an increase in the number of taxicabs for such applicant or certificate-holder, and which increase would exceed the number of taxicabs determined by the County Manager, then the application must include relevant facts indicating the reasons that the applicant contends that the market change, industry performance, certificate-holder performance, competition, innovation and other specified factors other than those determined by the County Manager.